← Is the Midwest flooding another geoengineered weather attack by the globalists? SOTN Editor’s Note: All of the current trajectories which, in the aggregate, reflect the true destination of the planetary civilization point to one undeniable outcome—a tyrannical totalitarian technocracy. What follows is just one take on this extremely serious matter for all of humanity. Alarm: “An anxious awareness of danger”. People will not move to action on any issue, no matter how serious, unless they become alarmed. The reason that Technocracy continues to saturate America is because people are not yet alarmed about it. They see no clear and present danger. This will soon change now that Technocracy has been officially ‘outed’ by the global elite themselves. A leading scholar and Senior Research Fellow at the Center on Asia and Globalization at the Lee Kuan Yew School of Public Policy (3 Trilateral Commissioners sit on the governing board), Parag Khanna, is a rising star within the global elite. After earning a B.S. in International Affairs and a Master of Arts in Security Studies from Georgetown, he received his PhD in International Relations from the prestigious London School of Economics. Khanna’s career started as a Research Associate at the Council on Foreign Relations, where Trilateral Commission member Richard Haass is President. He recently served a stint at the New America Foundation in Washington, D.C., where no less than five members of the Trilateral Commission sit on the board of directors. He has also served at the elite Brookings Institution (Trilateral member Strobe Talbott is President), the World Economic Forum and the Council on Foreign Relations. Indeed, it isn’t surprising that Esquire Magazine included Khanna in its “75 Most Influential People of the 21st Century”. Note that this ‘reengineering’ is focused on infrastructure, which includes transportation, energy and communications. Most importantly, the entire reengineered infrastructure is focused not only on the cities themselves, but also on connecting them together to form the global society. Technocrat Henry A. Porter wrote Roosevelt and Technocracy in 1933. He bluntly called for President-elect Roosevelt to declare himself dictator in order to summarily implement Technocracy. He likewise called for the abolition of Congress. In order to implement Khanna’s Technocracy, President-Elect Trump would similarly have to declare himself dictator, because the citizenry of America would never voluntarily accept these moves. Fortunately, Khanna’s radical Technocracy in America will not be released into a vacuum because my book Technocracy Rising: The Trojan Horse of Global Transformation has already been warning about this for two years. Additionally, I have addressed hundreds of audiences on radio, video and in person about the reality and dangers of Technocracy. For all those who have doubted whether Technocracy is a clear and present danger to America (and the entire world), you can and should translate your doubts into alarm, because the global elite themselveshave now declared that Technocracy is the endgame. Technocracy is not Communism, Socialism or Fascism, even though there are similarities and overlaps. Rather, it is an economic system originally designed in the 1930s to replace Capitalism and Free Enterprise. It is a resource-based economic system that uses energy as its accounting system, whereas our current system relies on supply and demand and uses currency as its accounting system. As I have thoroughly documented in Technocracy Rising, modern Technocracy was reinvigorated by members of the Trilateral Commission, co-founded in 1973 by David Rockefeller and Zbigniew Brzezinski. In 1987, the Commission strategically passed it off to the United Nations under the aegis of Sustainable Development. The UN has since spread the doctrine all over planet earth in the form of treaties, agreements, initiatives and partnerships. To the corporate world, it has been sold as the “Green Economy” and “Natural Capitalism”. It was sold to civil society as “Smart Growth” and Agenda 21. More recently, the UN’s 2030 Agenda and New Urban Agenda agreements have been adopted by over 190 nations of the world. The 2030 Agenda established the 17 new and expanded Sustainable Development Goals for the next 15 years, while the New Urban Agenda sets the standards for Smart Cities throughout the world. Between the two initiatives, the UN is asking for control over 100 percent of all production and 100 percent of all consumption. They, in turn, will utilize science and the Scientific Method to restructure and control the entire global economy and society. 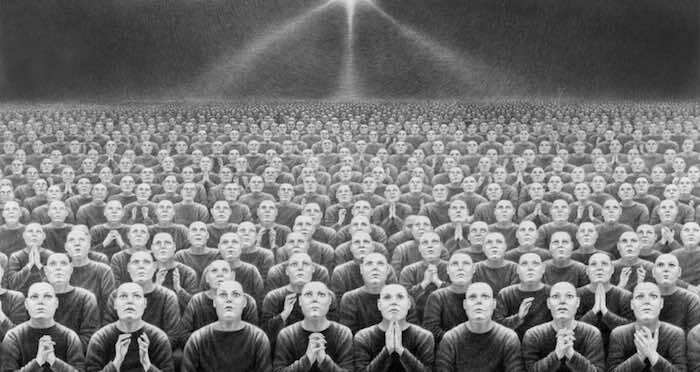 Americans rejected Technocracy in the 1930s and saved themselves from Scientific Dictatorship. While Khanna wrote in TIME “a bit more technocracy could ensure America’s best days aren’t behind it”, I suggest the polar opposite: Technocracy will destroy America as a nation and as a culture. It will trample freedom and liberty with the jackboot of Scientific Dictatorship.